In a recent interview about network marketing, I realized just how far I have come in this industry and how grateful I am for all of the experiences! I discussed my early beginnings with Simon Chang of MLM nation and how I have built my business over the past 9 plus years with attraction marketing. From starting with zero contacts, to managing a team of well over 10,000, I share with you everything I know that has made me a Diamond, not once, but TWICE. If you are just getting started with one of the many network marketing companies, this interview is the ultimate overview of how to make money and succeed. I had great experiences working in the corporate world, but realized I wanted to be an entrepreneur. I then became a real estate agent and did well at that. It was a good way to make a living, but it still wasn’t satisfying. I was still at the beck and call of of my clients and what I really wanted was time freedom. When the real estate market turn a turn for the worst, I started looking for other things I could do. I didn’t plan on being a network marketer. I got a phone call in 2006 and I am very grateful I did! We are always going to have ups and downs. The first few months with my mlm company were pretty rough, but by keeping my vision and just keeping my eye on what’s ahead, I was able to pull out ahead. Stay focused on activities not results. If you keep developing these skills, you will succeed. Pro tip: Don’t compare yourself to other people! You can do this, just stay consistent. This is actually true with anything and everything. Don’t Give Up – Give Your Business Enough Time! I have probably gotten about 300 no’s in my past 9 years with both companies. I have figured it out that each NO paid me about $20,000 each. So was it worth it to actually get so many no’s! Absolutely! All of these NO’s led to the YES’s that I need. It only takes a few great YES’s to really do very very well in our business. The trick is finding those people you can run with. I am grateful for the NO’s because they led to the YES’s! Another great thing I found, is that if you make a list of these no’s, and check back in with them, sometimes people change their minds over time. People are absolutely watching you to see if this is something you are really serious about and that you stay with it. They often come around when they see you are still committed and excited about it over time. Time efficiency is very important in this profession. We end up spending time with the people who we think need it, however, we should be giving the time to the people who deserve it. Real estate gave me the business owner mentality. Being an employee is a different mindset – often you are waiting for someone to tell you what to do. You own your own business in network marketing so make sure you are thinking like an owner! 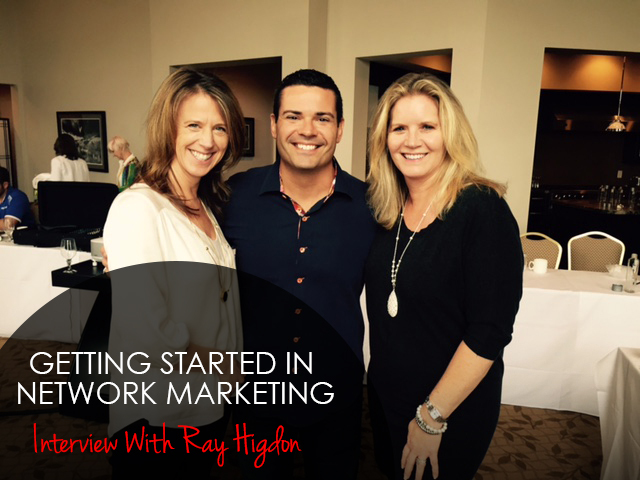 Building a network marketing business is just like building your own business. It’s up to us! It’s here for the asking, it’s here for the taking – the rest is up to you! There will be those days you want to quit, but if you keep doing those activities, it will be rewarding when you see how mlm can change your life and other people’s lives. Network Marketing Companies Thrive Online! The internet and social media has helped people see the value of network marketing in their lives. I have fully embraced all the technology available today to build this business. I spend a lot of time and effort building my social network. There are so many more ways to build this business besides home parties and meeting in coffee shops. If your company has a global platform, you truly can build your business all over the world. I suggest using attraction marketing. Attraction marketing is creating an online presence where people find you. How you do that is if you provide value and content on a regular basis, then they will naturally want be around you. Often times what happens is people go online and start posting images of their products all the time, it starts to look like spam. Post things that are valuable to people and the leads will come to you. In this business, the company does all the hard stuff. They create the product, the run the warehouse, they handle the invoicing. We do the fun part. We get to do the telling about it part. We get to share great products and a business opportunity. We share hope and in the world we live in today – do you know anyone that needs some hope and a better way? The best piece of advice I ever got…”You will know who the builders are by the questions they ask!” It takes away that pressure, we aren’t trying to force people to join. I don’t try to convince anyone of anything. You are looking for the people that want this and are just praying that someone tells them about something just like this. They may not know the answer is going to come in the form of a network marketing company but they realize it when they hear it that this is the answer they were looking for. We don’t need to chase or hunt people down. Along the way, look for people who are OPEN and ask the builder-type questions. If I had to start all over from scratch, the first thing I would do is make a list of all of the motivated, ambitious self-starter types of people I know. If someone sits at home all night watching TV, they probably won’t have enough motivation to do this. Talk to business owners, join networking events, join some mastermind groups. I would want to be around people who were motivated and looking for more in life. I would start blogging. I would post on social media. If I didn’t have an online presence, I would create one. My last piece of advice…is to give this enough time! It takes sacrifice and looking at what you are currently doing and ….Do it consistently. People often underestimate how much time it will take. My first two years in the business weren’t easy at all. There was lots to learn and lots to figure out but I can’t imagine my life today had I not given this business model the time it deserves. Over time you can and will be amazed with what you can create. “Consistent action over time creates extraordinary results.” – Zig Ziglar. Actions have to be consistent, give it time and the results will amaze you. MLM is a chance for people to become leaders, to create financial freedom and schedule flexibility. I feel incredibly blessed for my life, my success and the incredible team of people I get to work with! And travel with all over the world! Are you good at Closing the Sale? Do you have trouble closing the sale? Are you good at leading people to a decision to partner with you or to try your products? When it comes to signing up a new prospect do you freeze? If you are working in the network marketing industry, this is something you will need and want to get good at. It is the difference between making money and not much. Recruiting new team members and customers is how you build your business. Consistency is key and you will get better the more you practice! To make things a little easier, I have put together six of my favorite questions to help you close the sale and get more team members. Here is to you making more money! Find out what is going on in your prospect’s life. When you know someone’s “why” you can really understand a lot about how they are approaching this business. It can also be a great tool in closing the sale. Ask questions so you find out what their hot spots are. What are they passionate about? What don’t they like in their lives right now? Lots of people don’t think they are interested in a home based business UNTIL they realize that it can help them get out of the situation they are in and help them create the life they want. You need some seed money to start any business and that should not be a shock to your prospects. However, network marketing is a new concept for a lot of people who have been working in the corporate world or other fields. If you ask this question, you are setting yourself up for success because one of the most common objections is not having enough money. Closing the sale is much easier when you can discuss what it will take financially to get the biz going. Any business has a capital investment up front but with our business, the investment (and think of it just like that because that is what it is) is very, very small relative to traditional businesses. Closing the sale could mean changing your life! Diamond Directors Kathleen and Bekki and I on a recent trip to London! 3. “Are you open to a part time business partnering with me that won’t take anything away from what you are already doing?” This one helps people to relax. It won’t interfere with what they are already doing AND you are asking if they are open, not interested. People want to be open. They don’t want you to think they are closed off to ideas. People also want a partner in this business and don’t want to be left alone. So every part of this question is key. Memorize this one. Use it often and let it become your go to leading question. As I am closing the sale, I always bring up question #1 and ask my prospect if he or she is serious about what they said they wanted in their lives. If a woman tells you she is trying to save money to send her kids to college, ask about it again. “Were you serious when you said you wanted to save money to send your kids to college?” This question would get her back to the “why” which is truly the most compelling thing emotionally that will make someone want to join and get started with you. This is the ultimate question for closing the sale! This question really puts things back on the prospect. What is his or her back up plan if they don’t say yes to your business? Most don’t have a backup plan. What other options can truly allow him or her to keep a day job AND build residual income? The more you believe this, the more successful you will be! This question is solid for closing the sale, and I would suggest practicing with a team member so you can say it naturally, with emphasis. This is more of a leading statement than a question. Sometimes we need to help people make a decision by leading them there. In traditional sales, this is called an assumptive close. It is a great way to test the waters to see if someone is ready to get started and you can cut to the chase and just enroll them right then and there. You only get the orders you ask for. Become the person that helps people make the decision! Practice makes perfect, and with these questions, you are on track to become a superstar recruiter. Network marketing is challenging, but extremely rewarding. Many of the people I have signed up for my business have become great friends and there is nothing better than traveling the world with good friends! Be confident in your business and in closing the sale and you will go far! P.S. 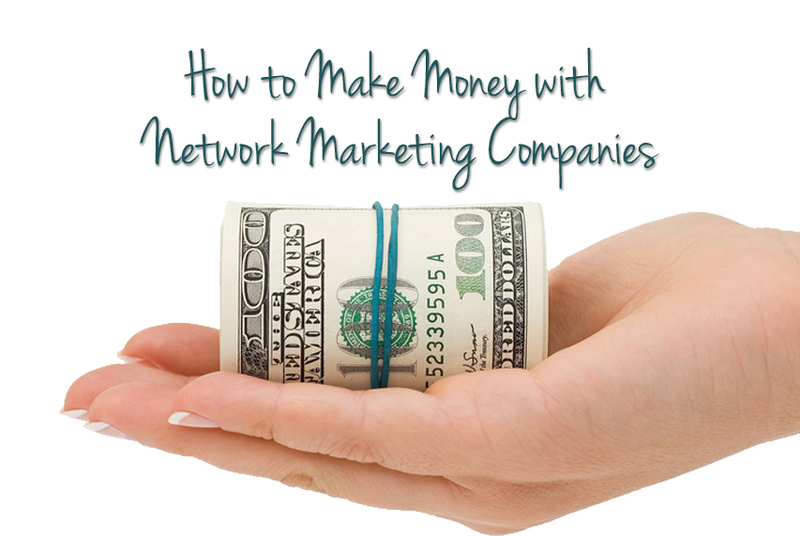 I hope these network marketing tips are of value to you. 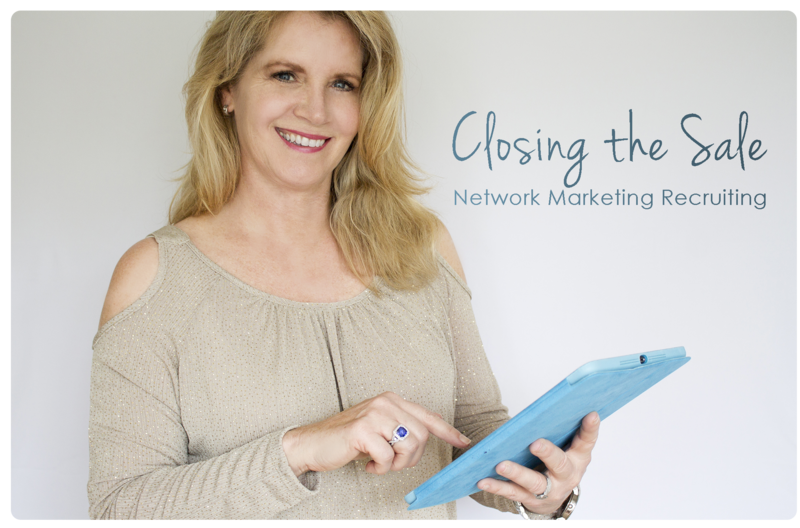 If you liked my post on following your dreams, I think you will love my blog post 4 Network Marketing Tips for Success! You also may enjoy this additional training about Success Secrets From Top Team Builders.